Dunedin, a long way from anywhere in more ways than one. Welcome to our hugely popular Migrant Tales series – first hand, genuine accounts of the migrant experience of New Zealand. Today’s tale is taken from a series of posts on reddit by US migrant, who is a evidently a reader of this site. They tell of the cold climate, lack of a social scene and poor housing in Dunedin. A city that struggles to attract both migrants and Kiwis and has to rely on its university to keep people in the vicinity. Like many fresh migrants during the honeymoon phase they take solace in the pleasant scenery, and mistake superficial friendliness for genuine warmth. They’re aware of the social disconnect that exists in New Zealand but are unable to process it. Many people feel like this in the early days. 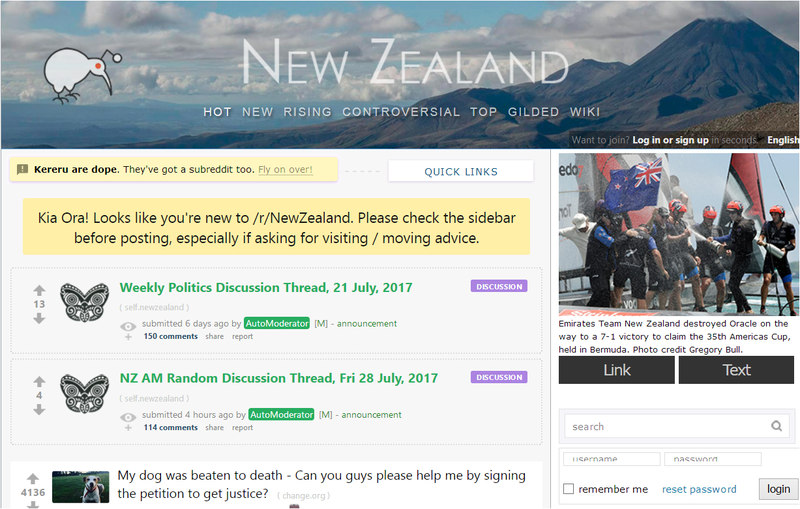 I live on South Island New Zealand, which is one of the friendliest places in the entire world but then I go on /r/NewZealand and see nothing but salty cunts by the bucketful who are just angry about EVERYTHING. It’s like 2 different worlds as well. Hey. Dunedin resident here not a student but I’ll give you my take. University of Otago is a really great school so I don’t think you would ever regret going there. The campus is gorgeous and the faculty really do care even if students don’t believe it. Now the weather… is it that bad… Dunedin is very very temperate (cold). It doesn’t get the huge temperature swings that you would get in other parts of the country but we never get that warm either. Winter temps seem to average between -2 to 2 at night and anywhere from 2-7 in the daytime. Spring and Summer tend to get down to around 5-7 at night and average around 14-18 in the day. Occasionally we get really really nice weather where it might crack 25 but that certainly isn’t every day. What makes it a bit harder is that if you’re from the Northern hemisphere you’re used to insulated double-glazed houses which no student flat will have and most homes here aren’t properly insulated or double-glazed. -2 isn’t a big deal in a warm fully-insulated house, it IS a big deal in a student flat where no one can run the heat. So winters can be a bit brutal if you’re a student. The waves are also cold. People wear wetsuits year round here but Dunedin has a big surf culture and even on days where it snows here you will see people surfing if there are waves to be had. The landscape of Dunedin is honestly stunning. If you get anywhere up on a hill the views of…everything are amazing. There isn’t a nightclub scene or really much to do for nightlife. The town tends to go to bed pretty early so students generally have house parties. Biggest thing for my family (as Western immigrants) was definitely housing. I laughed when you said NZ feels provincial. It really does. It’s small enough that you really do need to go down to your local shop to get stuff, ordering online just isn’t a thing here yet. I absolutely love my life here but housing is the biggest issue. 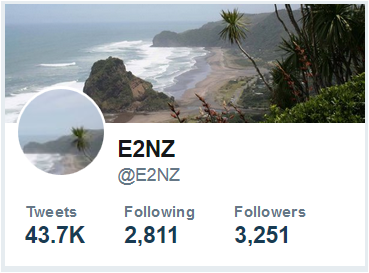 NZ building standards (except for very very new buildings) are simply built to an appalling standard if you’re used to Northern Hemisphere homes. Single-pane glass, no insulation, and a lack of properly drained foundations make for a lot of cold, damp, rotting houses. And I’ve found (at least at the bottom of South Island) that it is a very Kiwi thing to almost be proud of the fact that you live in a cold dark house. “Just put another jumper on, throw another duvet on the bed and pull your curtains!” There is an almost staunch refusal among some here to burn any fuel or turn the heat pump on except for days when you will quite literally freeze to death if you don’t. We’re in the process of shopping for a home right now and besides insulation or next big project for whatever we buy will be space age uPVC argon filled low-e double glazing for everything in the house. Some of our Kiwi friends act like we’re insane (again, just put on a jumper!) but I want to come home to a house that is 18 degrees when it’s 2 degrees outside. I shouldn’t have to wear a coat and boots inside my own home. I was disgusted by the levels of drunkenness in Dunedin on Friday (St Patrick’s Day). See attached report on assaults on females that night. I noticed this article about Dunedin Hospital. The staff are dedicated and do a very difficult job but the conditions they work in sound almost 3rd World. Yes the rockstar economy in N.Z is as it is in the music world ,many hopefuls and only a few connected people make it ,I was listening to Radio N.Z today and apparently many people are now so poor and disadvantaged that their kids can not afford basic things like toothbrushes ,paste ,soap and deodorant ,many young woman can not afford necessary hygiene products and worse still some women reported cleaning and reusing sanitary products ,welcome to N.Z and just a note ,these are lower income employed people ,welcome to N.Z. When I was younger we used to go Hobbit shooting in Dunedin ,it’s one of the closest places to the South Pole on our planet ,it’s freezing cold and the houses are basically built like California bungalows but without the gas heating or insulation . Poor ChooChoo……the anti intellectualism feel will be psychologically projected through the insulation thing and will face some discrimination and reject. Yeah, the housing! One of the big problems here. Some 7 years ago, my then-next-door neighbor was a lovely lady in her 80s. She had this typical “Kiwi” attitude, described in the story. During the coldest winter months she would get up in the morning, put on her winter jacket, woolen hat and gloves, and would sit on her porch in a sunny day for as long as the sun is out. Inside, she would not take her jacket and hat off, the gloves only. She had heater, which she didn’t use. She also had money, but this is how she was brought up, to obey that rotten philosophy – “Put an extra jumper on and man up”. Of course, when she died, she didn’t take it with her. Sad really. I have been through the process more than once, $25,000 to double glaze the house and $2,000 to insulate. However, you come to sell and it adds no perceived value. the single pane non insulated place down the road is on the market at the same price. I did the same thing on my last house ,insulated everything and double glazing throughout nobody including the real estate agent even commented on it,seems as though conspicuous consumption is preferred maybe I’ll put gold plated door handles on the next house.